John Lescroart & Kelly Parsons at The Poisoned Pen! I could save myself some embarrassment and not admit this to you, but I know for a fact that I wasn't the only person aboard the SS HowDoYaSayIt, and some of you may be passengers, too. I am happy to announce that a few of us learned how to pronounce "Lescroart" before the author made his appearance (less-CWAH). 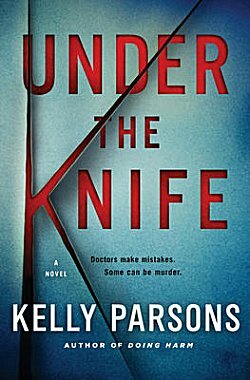 Under the Knife is Dr. Kelly Parsons' second book, and it took only two years to write as compared to seven years for his first, Doing Harm, which host Barbara Peters believes is the best medical mystery she's read. 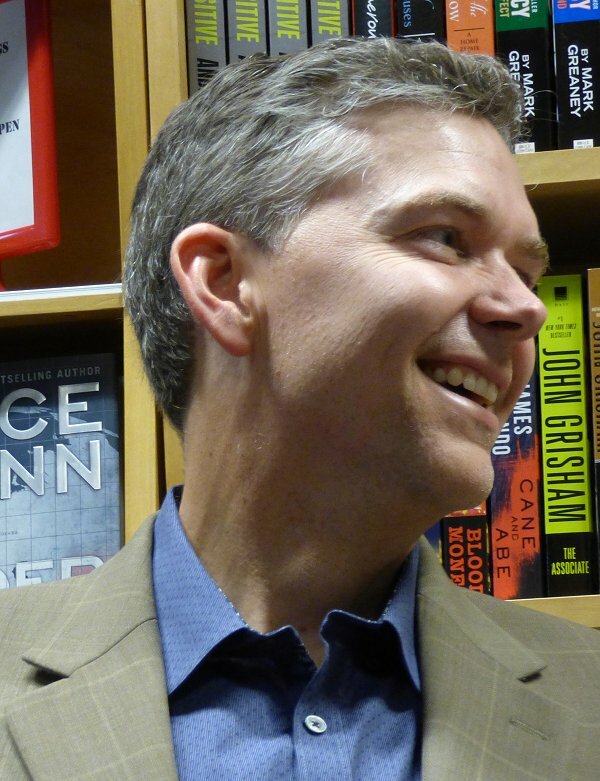 Like Peters, Parsons is a graduate of Stanford, and although he was interested in writing while going there, he didn't take any creative writing courses because he thought everyone would laugh. Instead he kept his writing private, a sort of therapy during his training as a surgeon. Today, Parsons is a surgeon as well as a professor at the University of California San Diego where he teaches medical students. 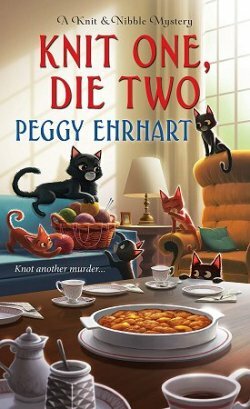 Barbara observed, "A mystery set in a hospital is very much the same as an Agatha Christie mystery set in a country house. Both are 'closed sets' and both require specialized knowledge." 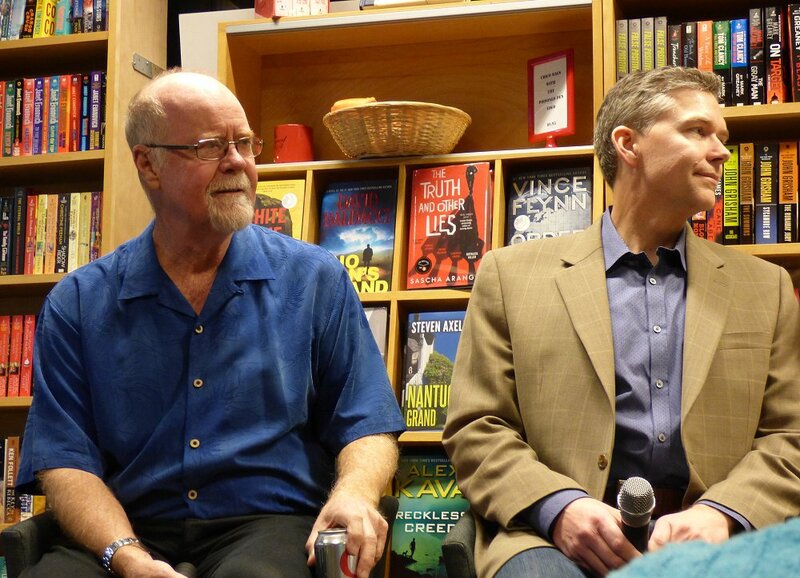 "In my first book, the mystery took a left turn into the land of the thriller," Parsons said. "In my second, readers know the identity of the bad guy from the start. There are four different points of view in alternating chapters." "Morgan Finney, a biotechnology tycoon, is a highly intelligent but socially awkward and emotionally fragile man. When his beloved wife Jenny dies of complications during a surgery led by Dr. Rita Wu, Finney’s grief turns to rage. He vows to kill Rita as he believes she killed his wife. But first he will systematically destroy her life. Aided by a mysterious man named Sebastian, and using advanced medical technology, Finney brings Rita to the brink of madness. Alone, fighting for her sanity and her life, Rita reaches out to ex-lover Dr. Spencer Cameron. 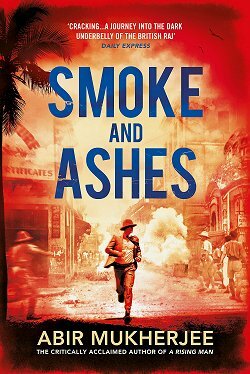 Together they uncover Finney’s horrific intentions and race to stop him, in Parsons’ nail-biting thriller." "I thought the biotech's outrage was understandable," Peters said. "I also liked the female surgeon." 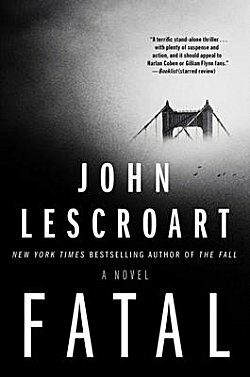 Talk then turned to John Lescroart and his newest book, Fatal. "I found the dynamic between the female characters really interesting. In fact, I was done writing the book in three-and-a-half months," he said. "Hooking up can spell danger," Peters commented. "Hooking up is bad!" Lescroart replied. 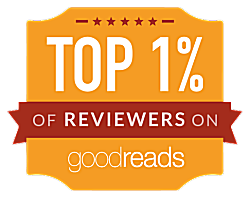 "A riveting standalone novel about the unexpected, shattering, and lethal consequences of a one-night stand on a seemingly happily married couple." Lescroart went on to say, "When I was first writing this book, I didn't realize that the woman was a cop. Then I began to wonder if there was a way to write the beginning so that the readers would realize this first. "The outline I submitted was for a different book, which really stumped my agent. I'd originally written 140 pages of this proposed book but knew it was boring, so I threw it away. My agent really liked this book and so did my publisher, but we couldn't settle on a title. We must've gone through a hundred different ones. Then my publisher handed me a list of twenty-five and told me to pick one. I scanned the list. They all began with 'fatal,' so I suggested that we just cut to the chase!" 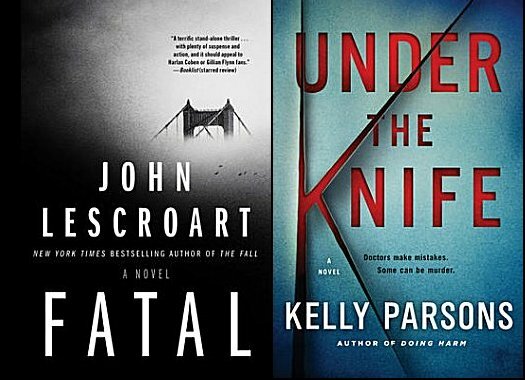 "Fatal is on the bestseller list and into its third printing," the author told us. "There may be a sequel, but sometimes I just want to write a standalone and let it stand alone!" Peters then mentioned how many times Lescroart had been to The Poisoned Pen (many), and that-- besides being a wine connoisseur-- he plays the guitar, sings, and has enthralled everyone attending Thrillerfest. "Now I'm co-president of the Thriller Writers of America," Lescroart said. "When you're getting your books signed this evening, just refer to me as 'Your Excellency'!" No two ways about it, this man knows how to make people laugh. Then Barbara Peters had an unfortunate memory lapse which led her to say, "I'm never going to recover from this, but I'll buy you a drink afterwards!" Lescroart said, "I want a t-shirt that says ALCOHOL. BECAUSE NO GOOD STORY BEGINS WITH A SALAD." Barbara just couldn't shake off her mortification. "I'm so embarrassed!" Kelly Parsons: "I'm embarrassed because you're embarrassed!" John Lescroart: "I'm not embarrassed!" Once we'd all calmed down, Kelly was asked about professional reaction to his books. 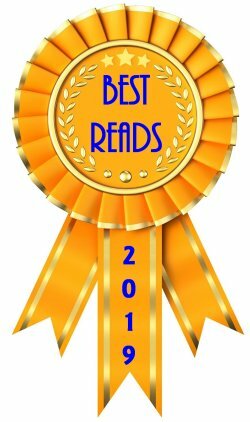 He said, "Some of my biggest fans are doctors, nurses, and hospital administrators-- and these are books where terrible things happen in hospitals!" 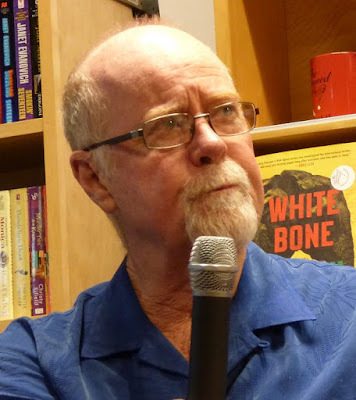 Lescroart was asked about the legal intricacies of his Dismas Hardy series. "My best friend from high school is a legal brain, so I have him dissect my books. I also pay a P.I. for his expertise." This really appealed to Peters, who told Lescroart that she wants him to bring his P.I. to the event for his next Hardy book. Sounds good, doesn't it? Speaking one last time of Hardy, John has finished his latest book in the series and is now stuck with a contracted third book... and no plot. Earlier Lescroart had been described as a wine enthusiast, and Parsons wanted to know which wine was his favorite. "Pinot Noir," John replied. He also recommended the movie "Somm" about becoming a master sommelier. Another fan asked him about social media, and the author admitted that he has "a ghost" who takes care of all that for him. Parsons was asked about his family. "I have a thirteen-year-old son and a fifteen-year-old daughter who hate my writing. I've learned to use any and all downtime for it, and they hate it when I attend their sporting events and they look up in the stands and there I am, working on my laptop." Hours at The Poisoned Pen seem to go by at the speed of light, and this evening was no exception. When Denis and I left, I hoped John and Kelly would enjoy the drinks Barbara bought them! Ah, there's nothing like a visit to the PP when it's raining! :-) Glad you enjoyed it so well, Cathy, and as always, I enjoy reading about your trips there.